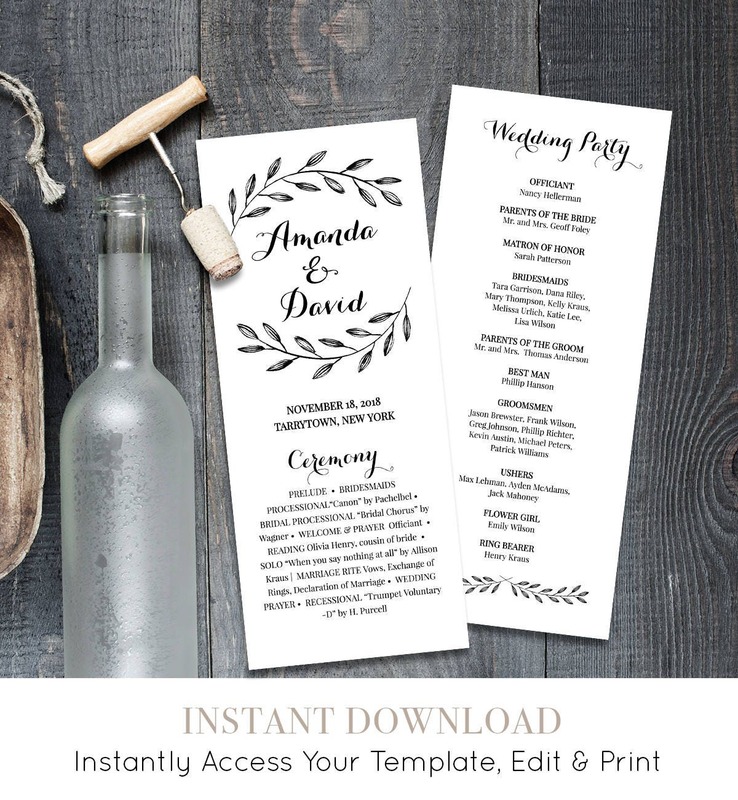 This listing is an "INSTANT DOWNLOAD" that includes a high resolution, editable Wedding Program / Order of Service. 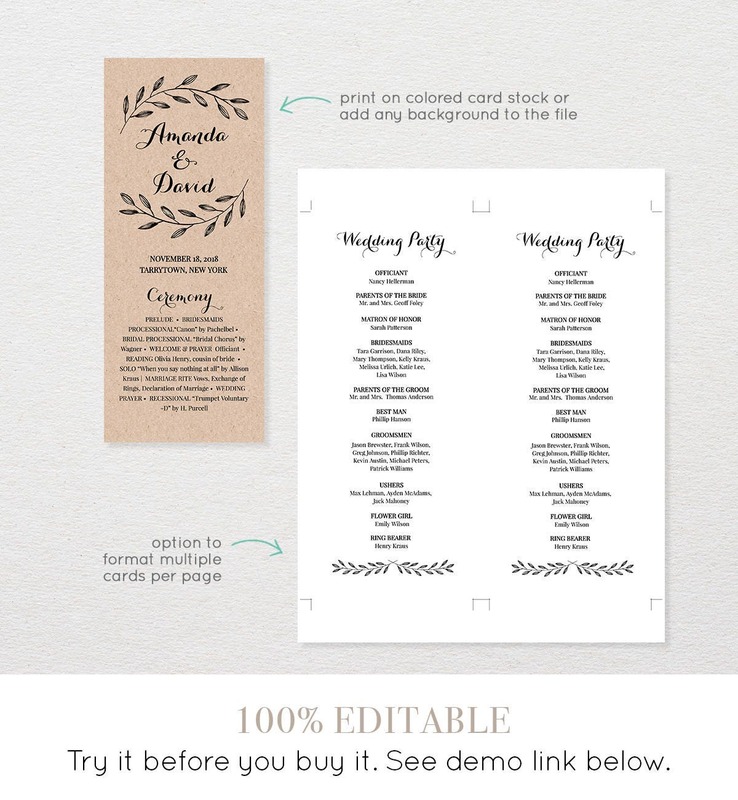 Featuring hand-drawn laurel leaves and modern calligraphy, this printable wedding program is a beautiful choice for your rustic wedding ceremony. 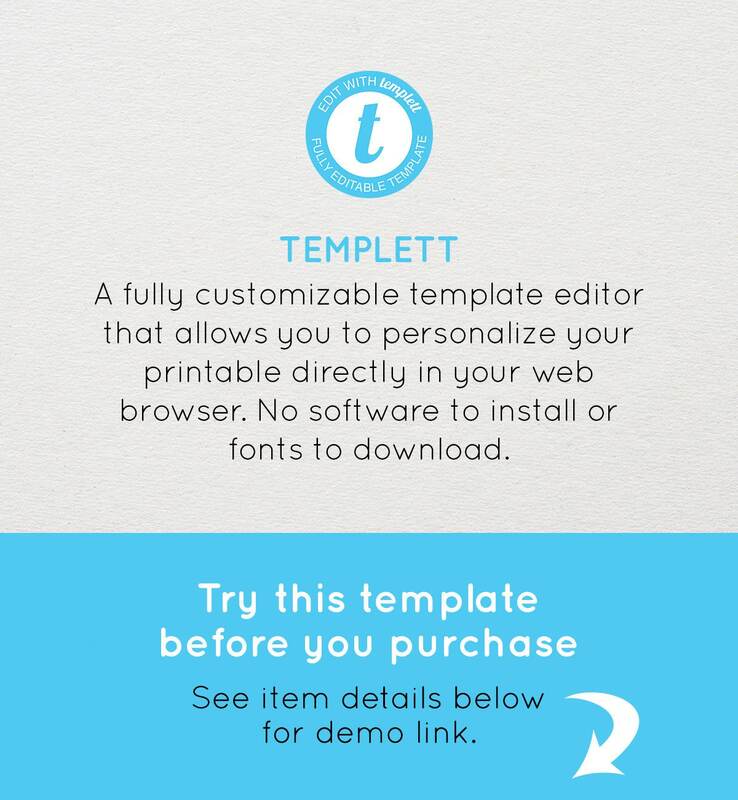 Edit your template within minutes of purchase using TEMPLETT - A fully customizable template editor that allows you to personalize your printable directly in your web browser. No software to install or fonts to download. "This is a great purchase. 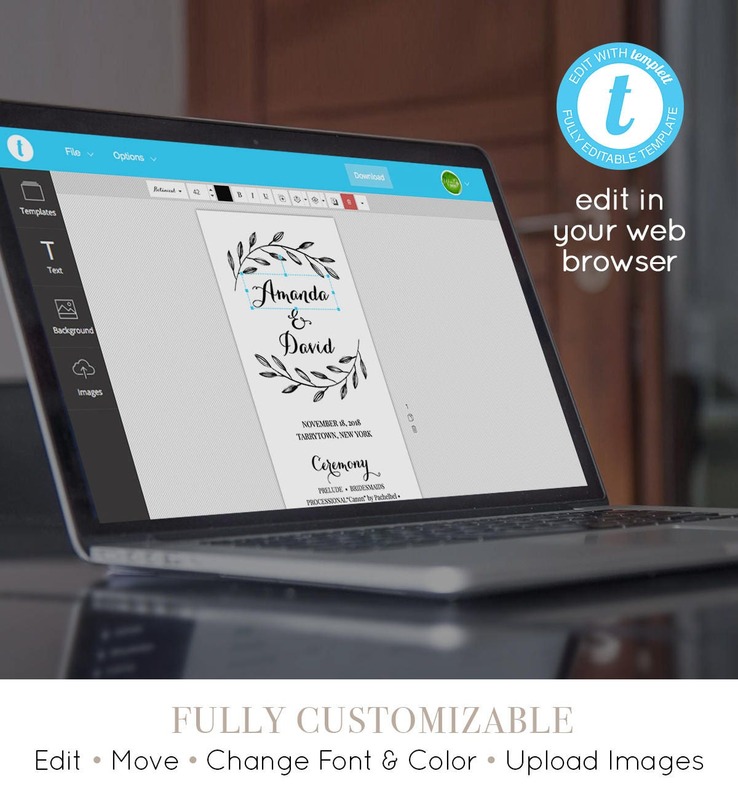 I was able to customize my invitation on my own through the Templett website. Originally my concern was that I didn't have the necessary software on my old home computer. This was not an issue with Templett." Loved the template. Easy to use and a breeze to print! Very easy and looks great!